You’re a student for a few years, but your connection to Carolina lasts a lifetime. Consider these opportunities to re-connect with the University. It doesn’t matter if you live outside North Carolina or have limited free time, your GAA has just the program for you. Get involved. Show the world the incredible impact Tar Heels can make in just one day. Each year on or around Oct. 12, alumni from around the world unite to serve their community. Learn more. Carolina Clubs are groups of UNC alumni and friends living in the same geographic area who want to remain involved with the University. Clubs provide a unique UNC connection for alumni no matter where they live. Each Carolina Club exists because of the interest, initiative and leadership of local alumni volunteers. Consider joining your local club’s leadership committee. You will have the opportunity to meet and work with other alumni volunteers to plan the type of activities that interest you most. Simply find your local club leader’s contact information here. If there is not an active Carolina Club in your area and you would like to find out more about how you can help start a new club, please contact us at clubs@unc.edu, and we’ll send you more information. The GAA welcomes the opportunity to assist alumni from a particular group (i.e. student organizations, sororities or fraternities, majors, etc.) to host a reunion on campus. Just give us a call and we’ll be happy to help you start planning. Learn more. 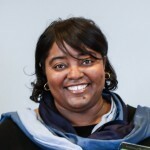 Tanea has been a member of the GAA staff since 1998. She currently serves as manager of affinity activities, overseeing affinity/special interest reunions, athletics, Homecoming, the Light on the Hill Society scholarship, local outreach and young alumni programming. She’s a dedicated member of Alpha Kappa Alpha Sorority, Inc., carries her NOOK with her wherever she goes and has a large collection of Coca-Cola bottles from across the world in her office. The GAA welcomes the opportunity to assist alumni from a particular classes to host a reunion on campus. Just give us a call and we’ll be happy to help you start planning. Learn more. Tar Heel born or Tar Heel bred — either way, Carolina is in your blood. Homecoming Weekend brings back Tar Heels from across the years to re-experience UNC. Whether you’re cheering for the Heels or climbing the Bell Tower, there’s something for everyone during this weekend each fall. Learn more. More than 7,000 UNC alumni volunteers are ready to give career advice. Whether it’s what you need to launch a new endeavor or guide you down your dream career path – the Alumni Advisor Network is here to help. Learn more. No matter the season or your location, there’s always a reason to celebrate a Carolina victory. Cheer on the Tar Heels at a game-watch party or attend a fan event with alumni and friends. Fall in. Our Triangle Fall Series is happening now with more than a dozen events with Tar Heels from now until December. Discounts and tons of swag for GAA members. Our affinity and class-based reunions reinforce the mission of the GAA, to keep alumni involved with and informed about their University. From a sunset cruise to an afternoon beer class, GAA members save on ridiculously fun events. Don’t miss out on being entertained in the company of Tar Heels.